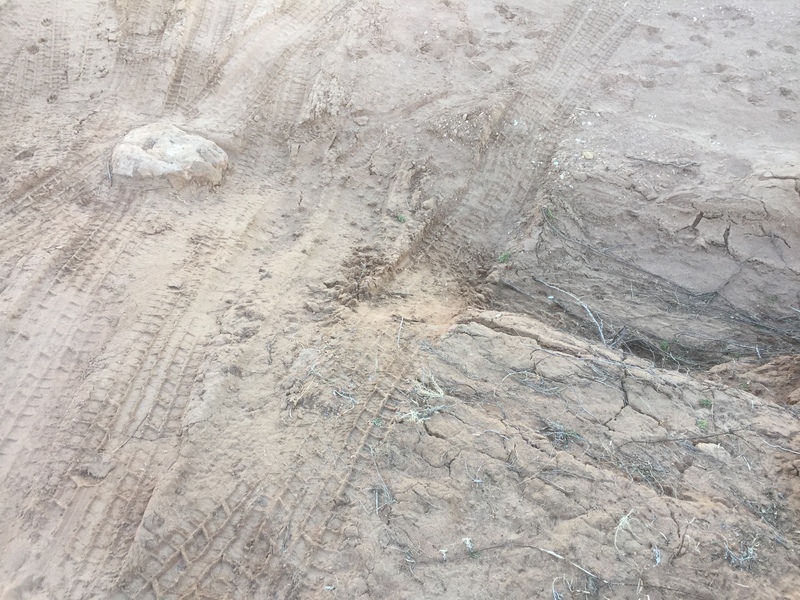 I should say the new wash end of the driveway, since the original wash end is now too steep and high for anything but a monster truck, plus there’s a big jagged rock right in the middle that was once buried in the sand. It was kind of a pain for a while, but erosion and traffic is gradually beating it into a sort of ramp-like angle. Until next time. The biggest issue with exiting the driveway by this route is that I have a very narrow road between the new erosion gully on the left, which is gradually wearing down to a more manageable angle, and the drop-off to the right. As the Jeep approaches the wash I can no longer see the approach, so I kind of bias toward the right. The drop-off is just a little bouncy, while until recently the gully would high-center or conceivably even roll the Jeep. …and the right side of the Jeep took a rather more precipitous trip down than the left side did. My mind on other matters, this came as a surprise. The one nice thing about the Jeep’s aftermarket suspension bits, which regular readers know have been much on my mind lately as so many have chosen to leave my employ, is the additional clearance. A couple of months ago I borrowed Neighbor D’s essentially identical but unmodified Wrangler, and it has a much (much) nicer ride – but will just flat bump into obstacles I’m used to being able to blithely drive over. Anyway, the sudden bumpsy-daisy wouldn’t normally cause any concern since that’s exactly the sort of thing the Jeep’s mods are supposed to help it shrug off. But those mods are eighteen years old and for something like fifteen of those years the Jeep has rarely seen pavement at all, so it’s all just a bit worn. So normally I’m more careful than that. Just a thought… Have you have given any thought about filling in the right side an bit to make things a little more passable? 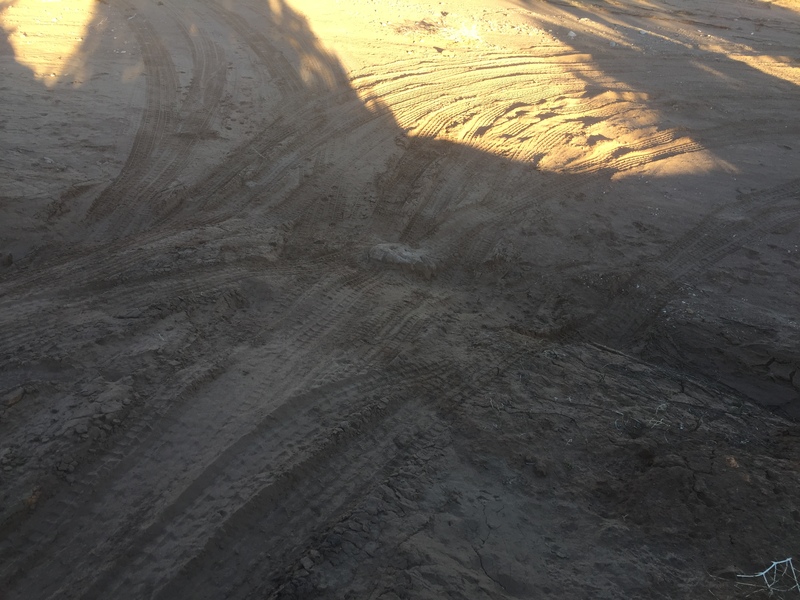 The dirt could be compacted by running over it a few times with the jeep. Also some scraps of PVC pipe stuck into the ground on each side of your preferred “driveway” could give you a guide that you could actually see. Yeah, Neighbor D keeps promising to come over with his loader and help me fix it. Someday he probably will. Till then I’m kind of living with it.